Jack Klugman would turn in his grave, if he were dead. "Why do those kids wanna listen to music that makes them angry, when they could be listening to music that makes them happy?" A very good question, Dr Quincy, and one to which I have no answer. 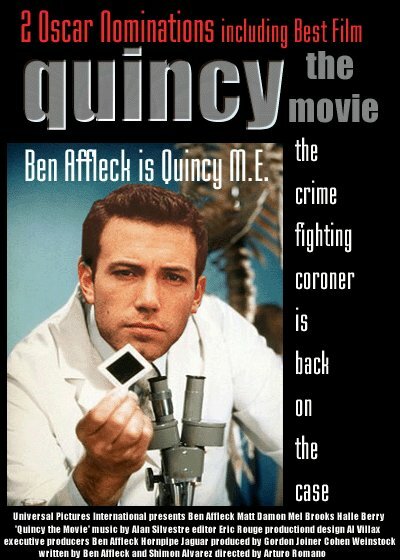 Quincy had a moral energy that is lacking in contemporary coroners (and other television detectives). In my youth I served as technical advisor on the TV show, and I can testify to the utter professionalism of the staff. 147 episodes of Quincy were produced. Canny readers will notice that 147 is also the maximum break obtainable in the game of snooker. Coincidence or something more sinister?